This past Saturday I gave a seminar on freelance writing, and a whole lot of creative people showed up. There was the attorney/film director, the birding columnist, the aspiring filmmaker, a couple of high-tech types in search of creative outlets, an environmentalist with an eye for green space, a gardener who makes flowerpots out of old tires, and goodness knows who else around the table. Oh, and did I mention a whole bunch of very good writers? When I stop to think about it, it's remarkable that back in 1983, I believed I had to hightail it out of Mississippi in order to "be creative." There is more creativity, artistic yearnings and stories just begging to spill onto the page right here in my home state than I've seen any of the places I've lived. Yes, even including New York City. I've had many people ask me over the years just why Mississippi has so many amazing writers. I used to think it was because we've had it the worst in many waysthe worst poverty, the most violent racism, the worst leaders trying to make us all hate each other. I still think all that has a lot to do with it, but since I've come home and found my creative voice, I actually think it's something much more basic. We know how to tell stories. And we have so damn many to tell. Sure, that ability grows out of the oral tradition. And oral tradition comes from a dark place just as our blues music is a product of our violent past. We're storytellers because of the illiteracy of many of our forebears. In my case, my father only went to third grade, and my dear mother never attended school for a day in her life until she took some literacy courses in her 60s (and aced all the tests, I'm proud to report). Growing up, she was the only girl and, thus, had to stay home, work in the fields and cook for all the other farm workers. But her food in itself was a work of art: dumplings so light and billowy that they might have floated away. And her stories: She was a mistress of storytelling. She taught me to write stories even though she could only write her own name when I was growing up. I started out writing for herliterally. When I came home in the third grade and showed her my cursive writing, she sat me down and explained to me that she could not read or write, and didn't want anybody but me to know. So from that day on, I would do her "figgerin'" and take care of her "bidness"paying bills, reading mail, sending Christmas cards, writing letters, you name it. I was already a little journal writer; foreshadowing my future, I was writing in a big scrawl in a little red diary with a miniscule padlock about being a flower girl and not hating black people by the time she told me about her handicap. After she told me, I knew in my heart that every word I could read and write was precious. So I put words up on a pedestal and vowed to spend a whole lot of time with them every chance I could. But, alas, I lived among such conformity and nastiness beyond the loving embrace of my mother. So many people lived to complain, to tear others down, to hate those not like themfrom the black people "in the quarters" to hippie artists who came down here to put ideas in all our heads. Back then, I was smothering under the gaze of people who would call me names if I let on too much about being smart ("uppity," "smart-aleck," "n*gger-lover"), and I wanted out. I wanted to go somewhere where I could "be creative." That is, be myself. Live out loud. Dream in full color. Make beautiful things happen for myself and others. Sadly, I let mean, stifling people run me out of my own state and away from my dear motherthe woman who taught me how to write and how to love even people who didn't look like me. So I left. And I lived. And I learned eventually to come back to the place that spawned and motivated my passions and my creativity and my desire for social justice. Now I'm strong enough to talk back, to fight for my state and my art and my people, and to love and live every day of my life in my state. But those kind of people still live among us. People who want to hate first, and (maybe) ask questions later. I thought of the prevailing winds of my Neshoba County childhood when I read the Northside Sun editorial last week that bashed my friend Jason Thompson. Jason is one of those Mississippians who is effecting change every single day; his mama taught him to give back, too. As a result, a gorgeous young man who could go anywhere and do anything chooses to live right here, working with young people in his day job, and performing his hip-hop artistry on the side under the name Pyinfamous. Last week, though, Jason ended up the pawn in an ignorant political game. When his stage name turned up on a list of performers at Councilman Chokwe Lumumba's victory party at Hanging Moss Church of Christ, the Sun editors did a quick Google and found a video that they then listened to and tried to translate. The editorial attempts to list those lyrics and then interprets them in way that would be hilarious if it weren't so tragic. They couldn't even figure out his real name, although it's no secret. The editorial ends by condemning Jason, as well as Lumumba, and implying that the artist showed up and rapped violence to the young people. Clearly, however, the Sun crowd would have gone nowhere near that church that day. And I doubt seriously it was out of fear of a random hip-hop lyric falling on their heads. It's tragic that people like the Sun editors try to hold onto their anger about the world so tight that they shatter anything positive in their wake. My friend Jason, who serves on the JFP think tank helping brainstorm ways to help our young people, has done more for this city in a few short years than a newspaper that tries to force conformity and negativity toward "the other" ever could. And it's so ironic, considering that Sun columnists compare our president to Hitler and win cash prizes from the paper for columns calling for blacks to give thanks every day for slavery. There is nothing creative about spreading fear and ignorance, whether today or in 1960s Neshoba County. But this time around, I have the creative courage to talk back. So do the artists and creatives I live and work among nowwhether Pyinfamous or folks who want to write about "creation care." Do your art. Support artists. You know what they say: More art is the best revenge. Kamikaze and I both wrote about the Northside Sun's smear of Jason Thompson last week. This is beyond disgusting. And they didn't even bother to do any kind of reporting or try to talk to him. It's tabloid smears at its worst. Wyatt Emmerich should be ashamed. BTW, here's my column about the Northside Sun's "give thanks for slavery" column, appropriately called Let's Do the Time Warp Again. Donna, thank you for your thoughtful and insightful comments on the talents of our friends and neighbors, some of whom appeared in your workshop last weekend (one of them was my husband, "the birding columnist"). It is great to hear stories like yours, of people shedding their Mississippi skins, only to find we are still Mississippi underneath and must come to terms with what that means to each of us inside...our past, our present, and our future. Growing up in rural MS, I didn't know adults couldn't read until I was an adult myself, which launched me into a career in education . 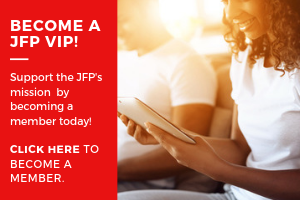 I appreciate your perspective and look forward (as a new reader to JFP) to hearing more of it. You're welcome! Your husband is great. So happy to meet him. ;-) I'm always inspired by my students and their stories they want to tell. It's part of the reason I teach: to keep my inspiration refreshed. Thanks so much for writing. We'll be having a writer's social soon. Hope y'all can make it up here for it. Donna, I can appreciate your column today because I was reared amongst a family who, out of ignorance, refers to all black people as "democrats" while in earlier days, much worse. This is the same family who shuts my 5 year old nephew down for speaking Spanish he has picked up from friends. They do so by saying "oh, so you have to speak their language since they can't speak yours?" And it's the same family who, from one side of their mouth will tell you about how great "so-and-so" is to their face and then dog them to their backs (black, white, hispanic, or other). I also grew up being told that I could "play with the black children at school but couldn't invite them home to play." Thankfully, that attitude has changed in some in my family, but continues amongst others. I would say to anyone who asked that I am not prejudiced in the least. But I find myself hesitating sometimes. Like a few weeks back when a friend of mine came over to go on a day trip, asking if his friend could come, too. I answered yes, but was taken aback when said friend arrived and was black. Why? Why did it matter? It didn't, and I chalk it up to the distorted upbringing that I had in regards to all matters racial. All of this to say, I hear you. I have stories. Enough to fill a shelf at Lemuria. Enough to cause me to never want to teach that hatred or indifference to my nephews or nieces. Enough to hate who, inside my head, I let myself slip into on the rarest of occasions. Enough to say "enough is enough." My wish for all us is that one day, race, religion, national origin, gender, sexuality...these things will no longer dictate who we are as a people. It's about time that attitudes changed. It's publications like this one who keep pushing the envelope and encouraging us to be bold and to make a difference, that will change who we are. 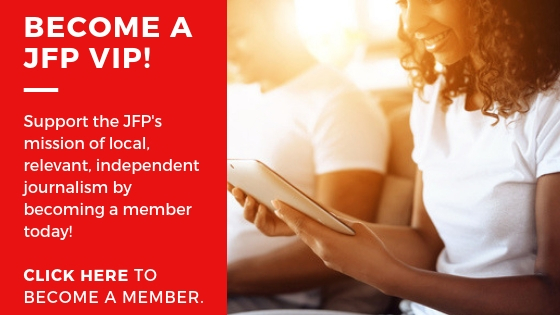 Thanks to you, and the JFP, for inspiring us to "be the change we want to see." 2599, you just made me cry. Thanks for sharing, and I hope your story encourages others to do the same. One of the great ironies of being a (white) Mississippian is that even as so many people of our race go around talking about how "all that" ended decades ago, many young white people are *still* growing up amid the exact kind of race hatred you describe (which is being reinvented against Latinos, Muslims and "others" now). Reminding us all that each of us must do our part to create the kind of world we want to live in -- which is decidedly different from the Mississippi of the past (and, in too many cases, present). Cheers, and happy Tuesday all. This was the exact kind of post I needed to see to get me into the groove of a busy press day the day after a three-day weekend! ;-) Each one teach one! This is the same family who shuts my 5 year old nephew down for speaking Spanish he has picked up from friends. They do so by saying "oh, so you have to speak their language since they can't speak yours? "2599 This caught my attention. I heard a quote today from Diana Eck, a professor of religion at Harvard. She paraphrased Goerte, and said that to speak one language is to miss out on the idea of language. Only by learning to speak more than one can you truly appreciate your own language. This is true for me of languages, cultures, music, religions. I learn so much about my own ways of being by really truly delving into someone else's truth.